Make a big statement with a smaller-sized promotion. 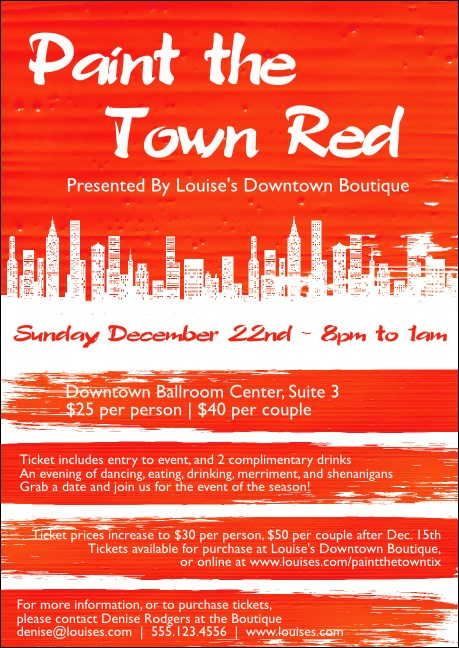 The Paint the Town Red Club Flyer has deep brushes of red contrasted with white on this design, with a city skyline in the background. Use this for any big city event, like art openings, festivals, or conferences. Paint the town with the right flyer from TicketPrinting.com.